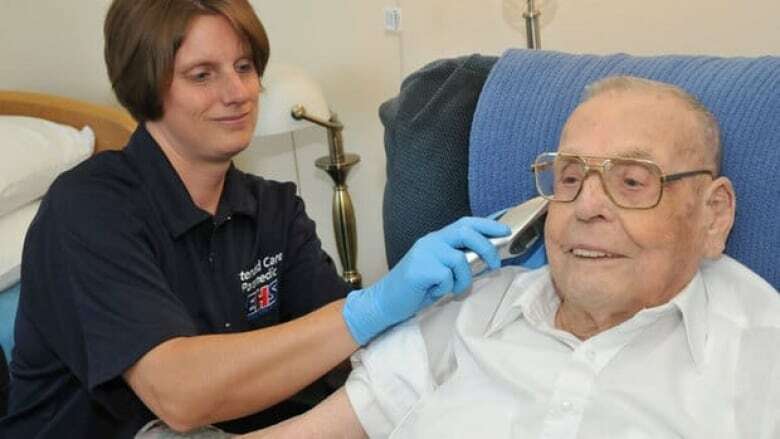 Halifax has succeeded in dramatically decreasing the pressure on its emergency system by testing a pilot project that has a paramedic dedicated to responding to 911 calls from nursing homes. This comes at a time when emergency medical services across Canada are looking for ways to address the challenges that come with an aging population and increased call volumes for emergency transport. An investigation by CBC News has revealed that an elderly woman, 87, died in Toronto in December after waiting three hours for an ambulance to arrive at her retirement home. The dispatcher noted that the late response was due to limited resources. Canada needs to re-examine the amount and allocation of resources dedicated to care for seniors, according to Susan Eng, vice-president for advocacy at CARP, a non-profit organization dedicated to ensuring a high quality of life for seniors. "It is a challenge that there are more people who will need emergency and health services and we need to be ready," she told CBC News. The pilot project in Halifax could be the solution emergency services across the country are looking for. The project, known as Extended Care Paramedic (ECP), was developed to help deal with delays of getting patients out of ambulances and into the hospital. ECPs are hand-picked paramedics who have been specially trained to meet seniors' health-care needs. One ECP per 12-hour day shift is designated to care exclusively for people in nursing homes. The paramedic works with nursing home staff as well as a patient`s family doctor to decide how best to treat the patient. The ECP is able to arrange for transport of the patient to the hospital if necessary. According to Nova Scotia's Emergency Health Services (EHS), typical calls include wound care, fall assessment or palliative care. Since the Extended Care Paramedic program started in February 2011, ECPs have responded to 1,472 calls from the 16 participating nursing homes. Of those calls, 73.5 per cent of patients were treated at the nursing home and didn't require ambulance transport to the hospital. This has eliminated more than 1,000 unnecessary trips to the hospital and decreased ambulance off-load delays at Halifax emergency departments. The paramedic program was developed by Capital Health, Nova Scotia's largest health-care provider, EHS and a network of long-term care physicians and nurses. "Every year we see an increase in call volume so we know our system is getting busier," says Jeff Fraser, director of operations at EHS, who helped implement the pilot project in Halifax. "But our answer isn't just to put an ambulance on the road. Because one more ambulance on the road potentially means one more ambulance in the line-up at the hospital." With the largest number of seniors per capita in Canada, Nova Scotia's health officials recognized the transport of seniors to emergency departments was the biggest challenge facing their emergency health care system. Candice Allison is the director of nursing at Saint Vincent's Nursing Home, one of the participating nursing homes. She says transfers have decreased dramatically to emergency and this has pleased residents and their families. "You're dealing with a population often with cognitive impairment. So moving them out of their home environment into a busy emergency room is very traumatic for them," said Allison. The program lets seniors be treated in their own beds while taking pressure off emergency departments and keeping more ambulances on the road, according to EHS. The two-year ECP program, now being considered for province-wide implementation, is currently funded with reallocated resources so there are no additional costs. When asked about the death of the 87-year-old woman who died waiting for an ambulance, Toronto Emergency Medical Services stated they consider "any delay in response to a patient a very serious issue," in a Jan. 30 email to CBC News. "The service is focused on making important improvements that will ease some of the pressures on the system. We are currently working with the City Manager's expert consultant to review all aspects of Toronto EMS, including staffing requirements and system improvements for the immediate and long-term."